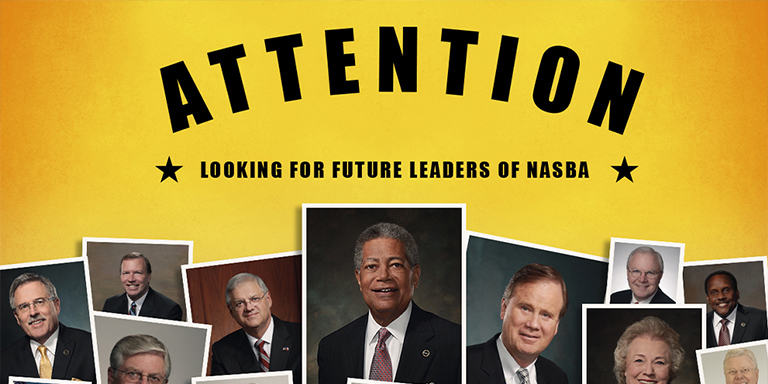 NASBA Nominating Committee Chair Theodore W. Long, Jr., is asking all those interested in serving as NASBA Vice Chair 2019-2020 to please submit their resume by April 16, 2019 to him at NASBA, 150 Fourth Avenue – Suite 700, Nashville, TN 37219-2417 or e-mail aholt@nasba.org. To be eligible, an individual must have served on the NASBA Board of Directors for a minimum of two years. Questions about the process should be directed to Assistant to the President Anita Holt (615)880-4202.